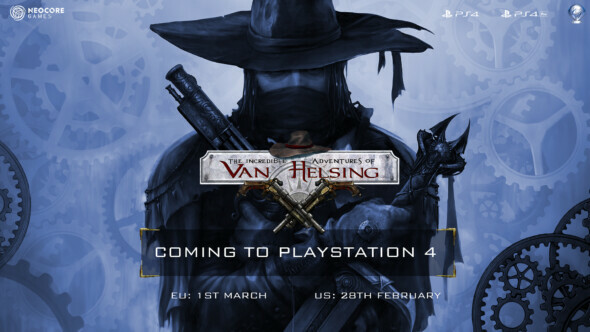 Neocore Games has proudly announced the release of: The Incredible Adventures of Van Helsing: Extended Edition for the PS4 and PS4 Pro on February 28 in the US and on March 1 in Europe. The game will be the first chapter of a trilogy, an Action-RPG set in a Gothic-Steampunk world filled with monsters, humor and pop-cultural references and it will have some special Dualshock 4 controller features. The game will also take full use of the PlayStation 4 Pro’s advanced hardware.